Take a guess. Who might this child be? Look through old photographs and you’ll find young boys in dresses. Why? White was easy to bleach, and diapers were easier to change with dresses. Young children grow like weeds, and dresses don’t require precise sizes as pants do. 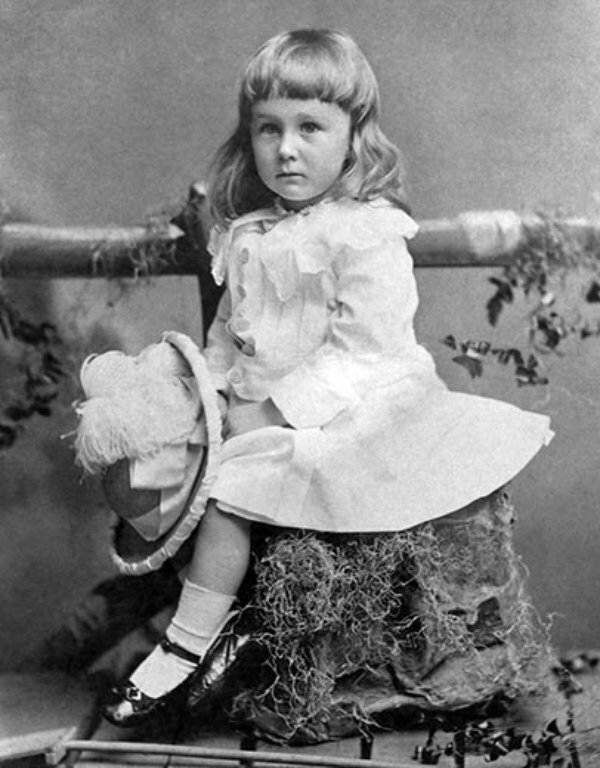 Boys wore dresses or short skirts until age six or seven, when they received their first haircut. The shift toward clothing associated with men―pants―came in the early twentieth century. Another shift occurred with the women’s liberation movement; girls started wearing pants. Who is the child? A future president, Franklin Delano Roosevelt in 1884.